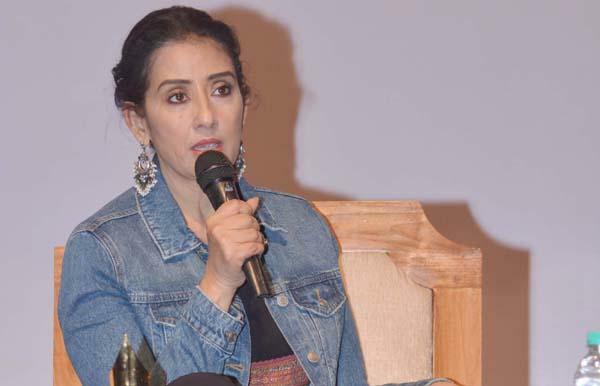 Bollywood actor and cancer survivor Manisha Koirala has said a good health care support system was needed to create awareness about the disease and people should prioritise their health. The key to surviving cancer was early detection and screening and people must maintain a healthy lifestyle, Koirala said on Sunday at the Brahmaputra Literary Festival while talking about her book 'Healed' released recently. "In developing countries, people are dying more than in developed countries and this is primarily due to lack of awareness. Ninety per cent of the cases, if detected early are curable and people must go for periodic checkups and maintain a healthy lifestyle," she added. 'Healed', which deals with Koirala's battle against cancer, the intricacies of the disease and the treatment involved, was written so that people "can learn from the mistakes I made and prioritise one's health by eating well, doing exercise, being active and above all by being a happy person", she said. Koirala, who returned to films with 'Dear Maya', said she did a lot of introspection while she was ill and realised whether "we want to be a victim or a victor is in our hands". "I am an ambitious working woman and I have a second chance to life. I am looking forward to do more films but now my priorities are different with more focus on my health, family and on creative fulfilment", she added. The actress said her main drive for selecting a film now will be the script and she would love to do a female- centric role. "Times are changing, different stories are being told and audience are accepting different roles. I want to do films that give me enjoyment and at the same time is appreciated by the audience", she added. Asked about her recent film 'Sanju' where she portrayed the role of Nargis Dutt who died of cancer, Koirala said she was "initially apprehensive as Nargis ji was a super talented actress but I did it and it went off very well". The actress will be soon working on a yet to be titled film with actor Adil Hussain, who hails from Assam, whom she described as a "brilliant actor". Koirala said she also plans to start work on her second book by the end of this year though she did not reveal the details. "I have always wanted to write since childhood and I have many stories to tell which I now plan to do", she added. Vivek Oberoi's role in new web series inspired by Lalit Modi?